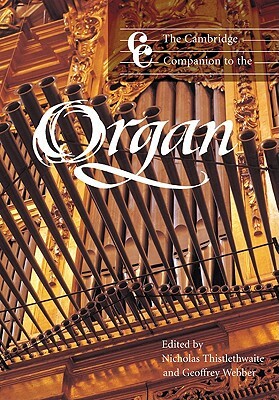 This Companion is an essential guide to all aspects of the organ and its music. It examines in turn the instrument, the player and the repertoire. The early chapters tell of the instrument's history and construction, identify the scientific basis of its sounds and the development of its pitch and tuning, examine the history of the organ case, and consider the current trends and conflicts within the world of organ building. Central chapters investigate the practical art of learning and playing the organ, introduce the complex area of performance practice, and outline the relationship between organ playing and the liturgy of the church. The final section explores the vast repertoire of organ music, focusing on a selection of the most important traditions. The Cambridge Companion to the Organ by Nicholas Thistlethwaite was published by Cambridge University Press in March 1999 and is our 30437th best seller. The ISBN for The Cambridge Companion to the Organ is 9780521575843. Be the first to review The Cambridge Companion to the Organ! Got a question? No problem! Just click here to ask us about The Cambridge Companion to the Organ.